Ledbury custom tailors shirts in-house. Ledbury has helped put Richmond on the fashion map since 2009. 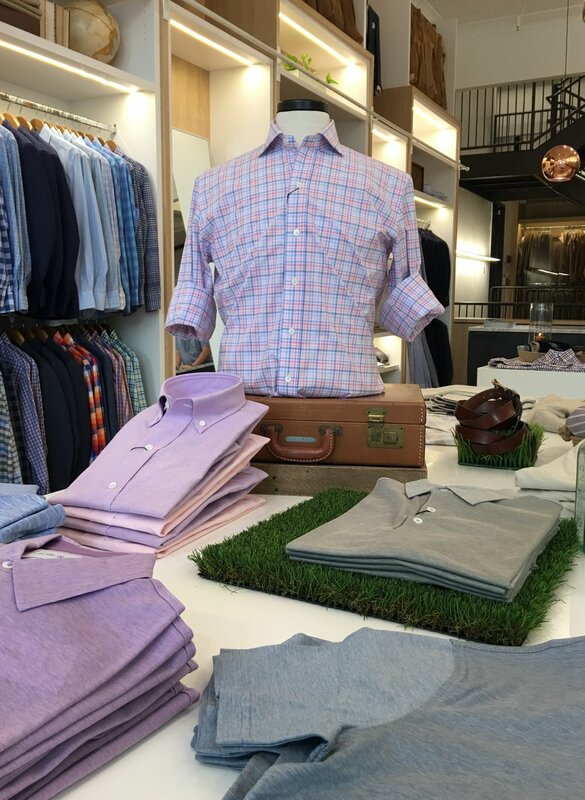 Starting online, the clothier has now expanded to an outpost in Georgetown and a flagship location here in RVA. The Broad St. store has become quite the destination for travelers and the well-dressed. Located in Richmond's Arts District, there's plenty to do in this corridor including exploring galleries, ice cream shops, and cafes. Ledbury's store is walkable for those staying at Quirk Hotel, The Jefferson, or Linden Row Inn. We spoke to Head of Community Development Molly Hugel to get an idea of what to expect when shopping the store. "We do see a lot of people coming from out of town. Our neighborhood is changing so much, and it's exciting to be part of that," she says. Stepping into this flagship location, you'll find neatly merchandised shirts, pants, polos, ties, and more. From casual wear to formal, plenty of silk and linen blends keep you cool for the summer. If you're looking for something a little more special to take home, you'll find a workshop and private shopping area in the back of the store where you can have your garment made-to-measure. In addition to custom shirting, there is also a bespoke program where every element of your shirt or suiting is tailor-made exactly to your body shape. And one pro tip. Sip on a little something to loosen up for your bespoke fitting. Ledbury keeps a supply of Bulleit Rye and local Hardywood beers on-hand to make your visit comfortable. So fashionistas and fashionistos get excited, Ledbury's warehouse sale is around the corner from Wednesday, Aug. 9 through Saturday, Aug. 12. Visit Ledbury at 315 W Broad St, Richmond, VA 23220 or online at Ledbury.com.